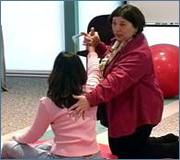 This seminar presents basic principles of normal movement and concepts of facilitation of movement for the treatment of children with neuromotor disorders. Facilitation techniques are discussed and demonstrated. 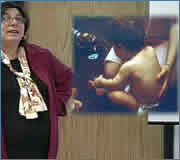 Analysis of movement and function as well as comparative analysis of normal and atypical development are presented. Treatment examples and demonstration. Handouts included in PDF file format. 1. Identify the major components of sensorimotor development. 2. Describe the basic handling techniques to facilitate normal movement. 4. Identify the transitional components in supine, prone, sitting, quadruped, standing, and walking. 5. Describe the important elements of functional goal setting.